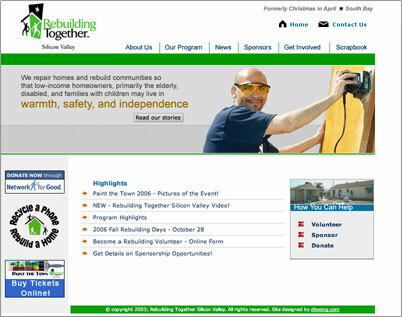 rtsv's website was done as volunteer work. they needed a site that would help get others involved in their program and help the community. visitors would be able to find out how to apply. also - a scrapbook section was added so visitors can view photos of workdays.